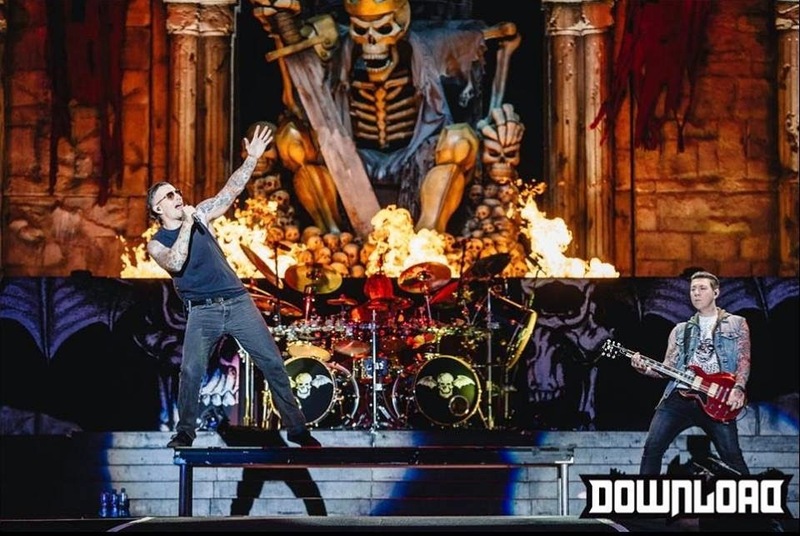 As the sun goes down over Download, it’s time to finally find out whether controversial choice Avenged Sevenfold are deserving of their headline slot over a more ‘classic’ rock or metal act. Soon after fireworks and pyrotechnics signal their arrival onstage, it becomes abundantly clear that the answer is a resounding yes, for several reasons. They pull in a crowd fit for a headliner, and they’ve got the visually impressive stage show to match. 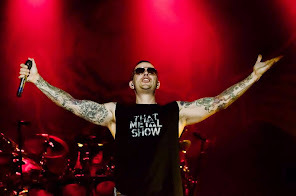 Frontman M Shadows oozes charisma and dominates the stage in his cocksure way, but crucially, he’s also keen to point how humbled the band are by this experience, and by their reception. They’re fully aware that they’re in an enviable position, and they’re out to prove that they’ve earned it by playing a set of live favourites interspersed with some deeper cuts like Burn It Down from City Of Evil, which they’ve not played on these shores for about eight years. Bat Country sends everyone insane and the title track from their latest, Hail To The King sounds immense and anthemic, especially with thousands of people singing along to every word. Their musicianship is tight, with the twin guitar attack of Synyster Gates and Zacky Vengeance tightly harmonising like a siren. Perhaps the hardest thing to achieve in a show of this scale is an emotional connection with the audience, but when they dedicate So Far Away to the late Jimmy ‘The Rev’ Sullivan, the crowd breaks out into a round of applause that lasts a good minute, and raises their lighters in the air for the rest of the song. It’s a perfectly judged set in terms of pacing – they know when to kick things up and when to bring them down. After the song finishes, M Shadows tells the crowd soberly, “Tonight is not gonna last forever.” And with that, it’s an encore of the big hitters including a powerful rendition of Little Piece Of Heaven that has all of the main stage crowd singing as one. Avenged came, saw and conquered tonight – with enough gunpowder to make Guy Fawkes wet himself with jealousy. We’ll no doubt see them again.